In addition to over 15 years of healthcare industry experience, I have lived with type 1 diabetes since 1994 (insulin pump since 1996, continuous glucose monitoring since 2006). 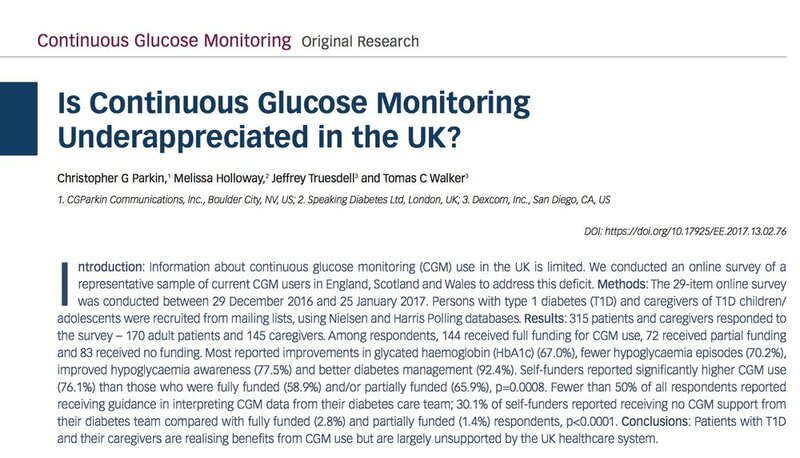 I served as Chief Adviser to INPUT Patient Advocacy, the UK charity supporting patient access to diabetes technology, until its merger with JDRF UK in October 2018 and continue to handle enquiries about access to diabetes technology in the UK. I also volunteer for the JDRF Online Diabetes Support Team. See Media for more on what I am up to within and outside of diabetes. I was interviewed by the advertising agency CDM London about my experiences with diabetes technology over the years since my diagnosis. This is the result, which won a Bronze Lion at the 2017 Cannes Lions Health awards (http://www.mmm-online.com/live-at-cannes/lions-health-the-2017-pharma-winners/article/669252/). In this special feature on the Echo app for repeat prescriptions, I demonstrate the functionality of the app.